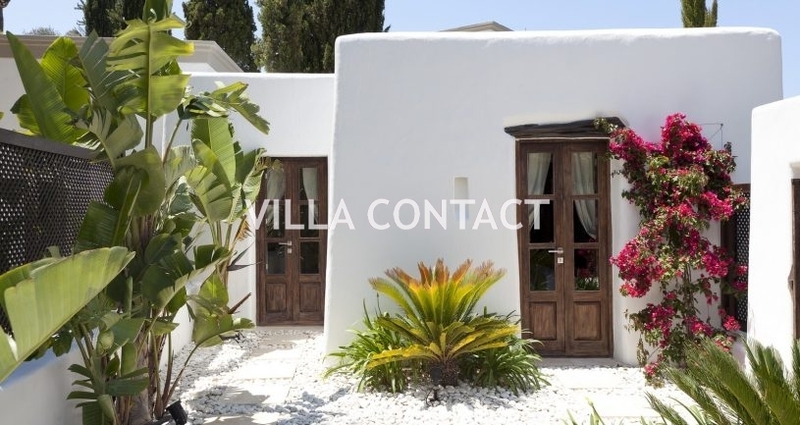 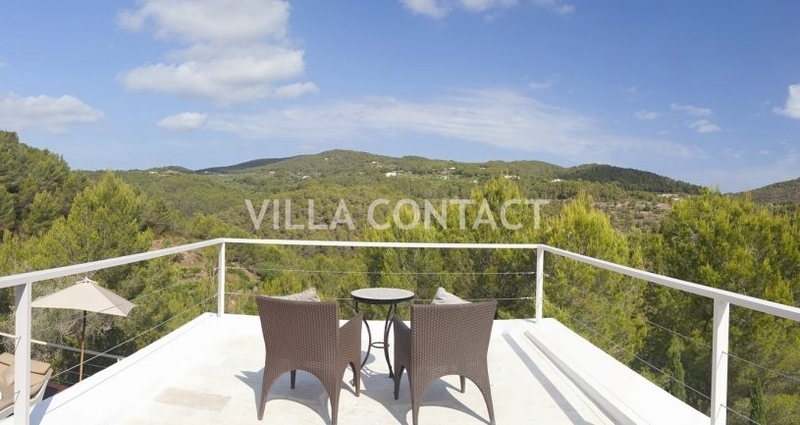 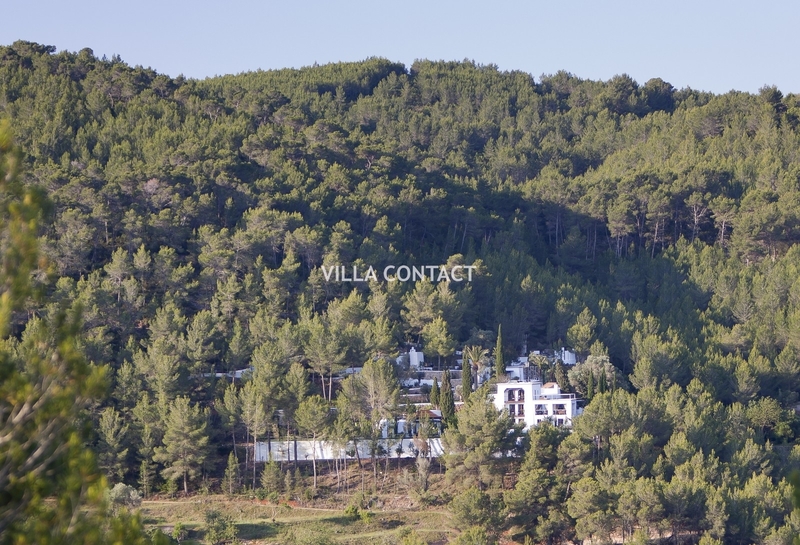 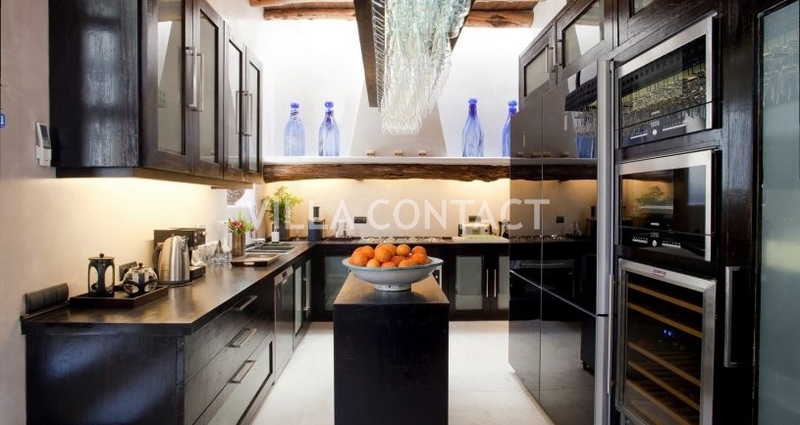 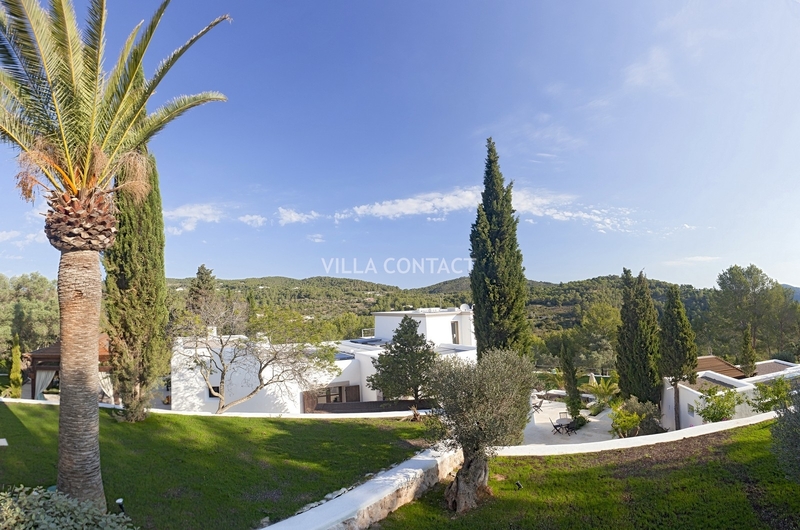 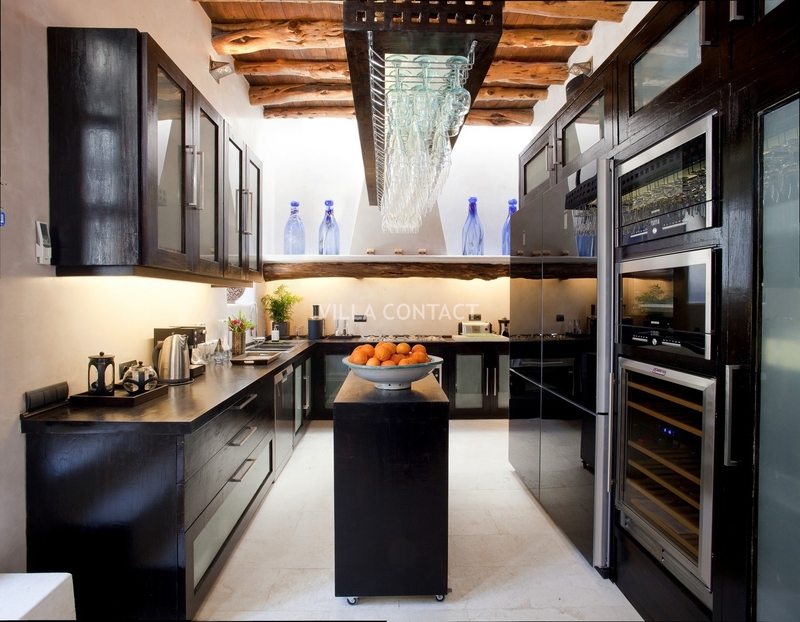 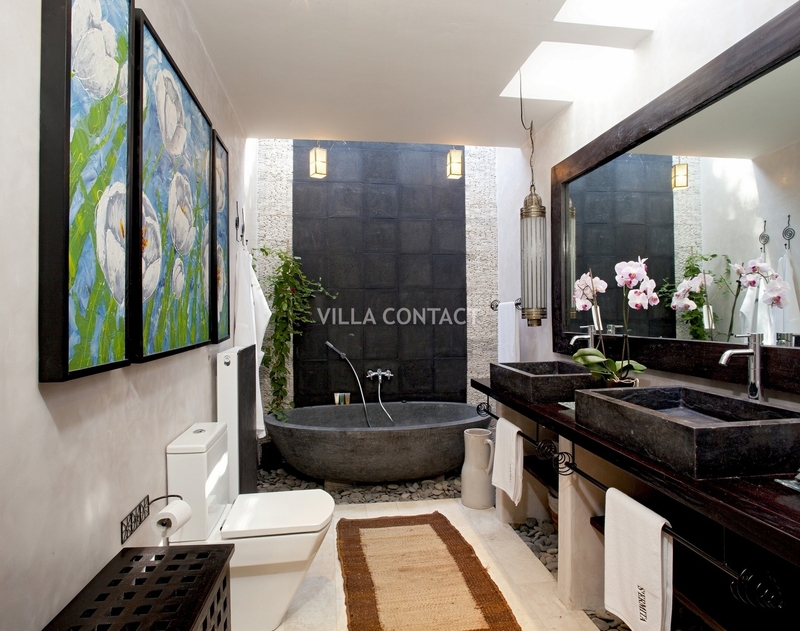 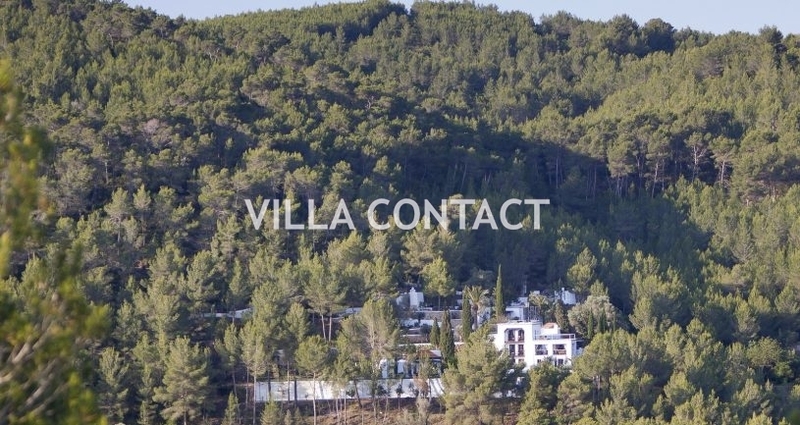 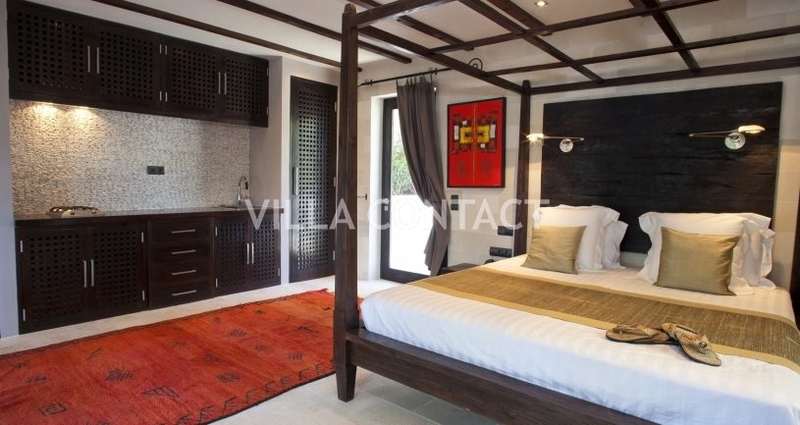 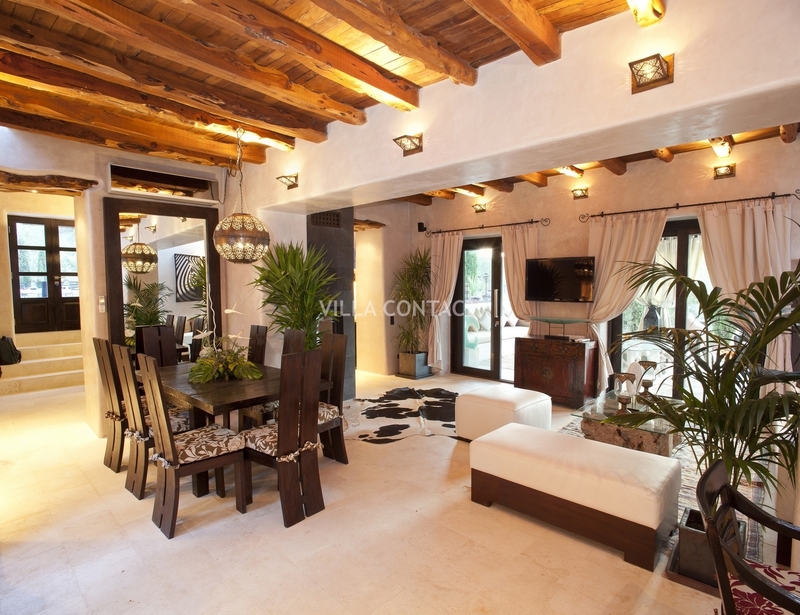 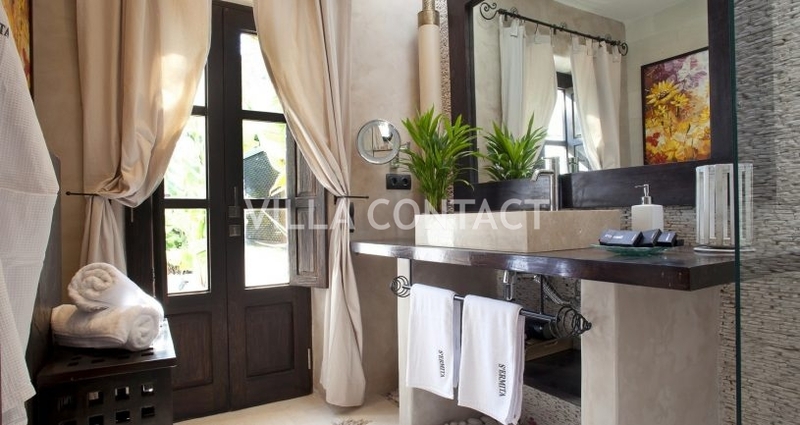 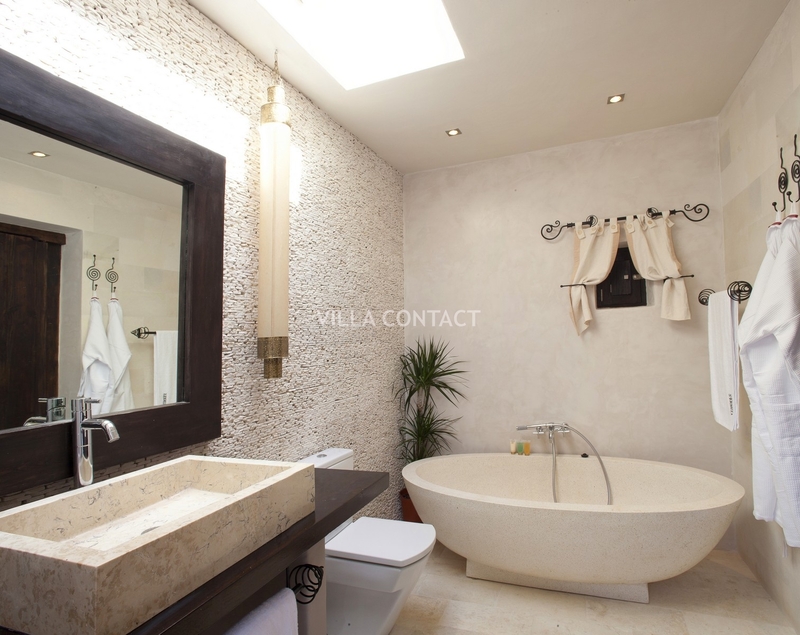 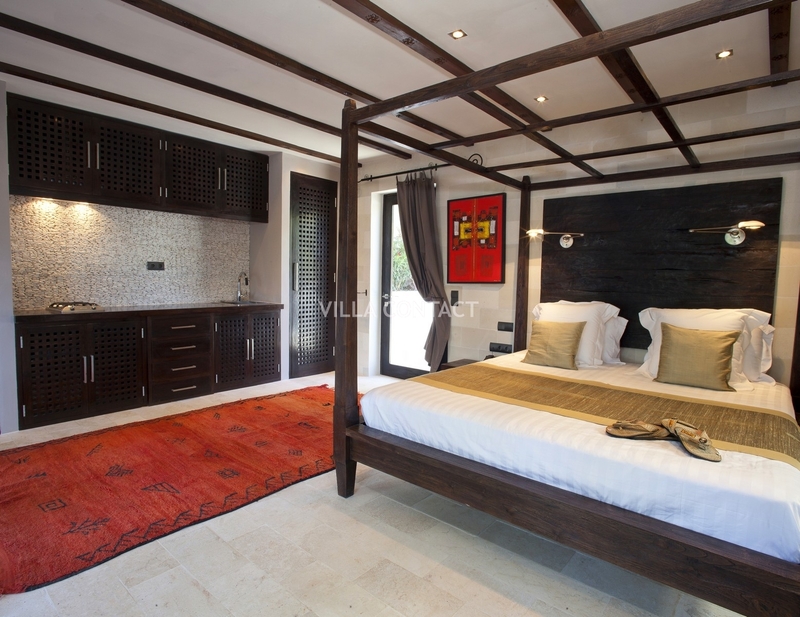 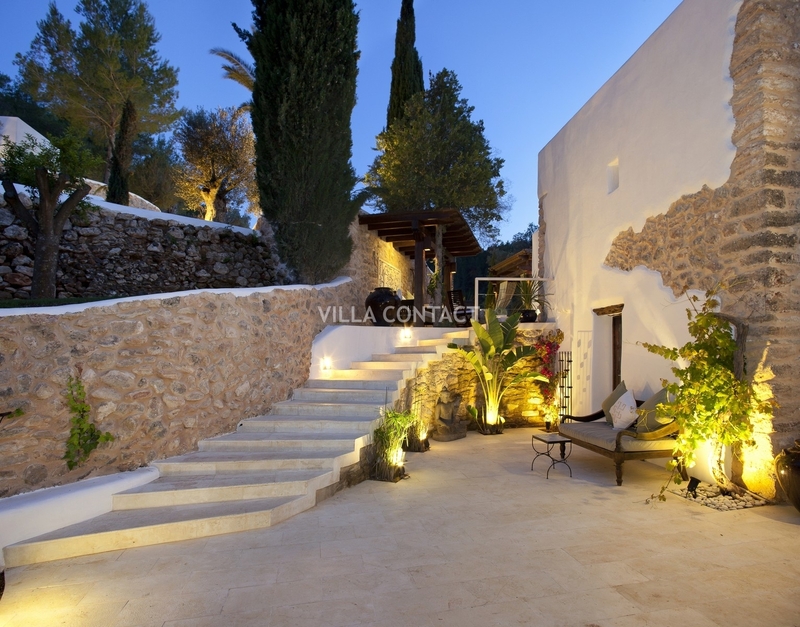 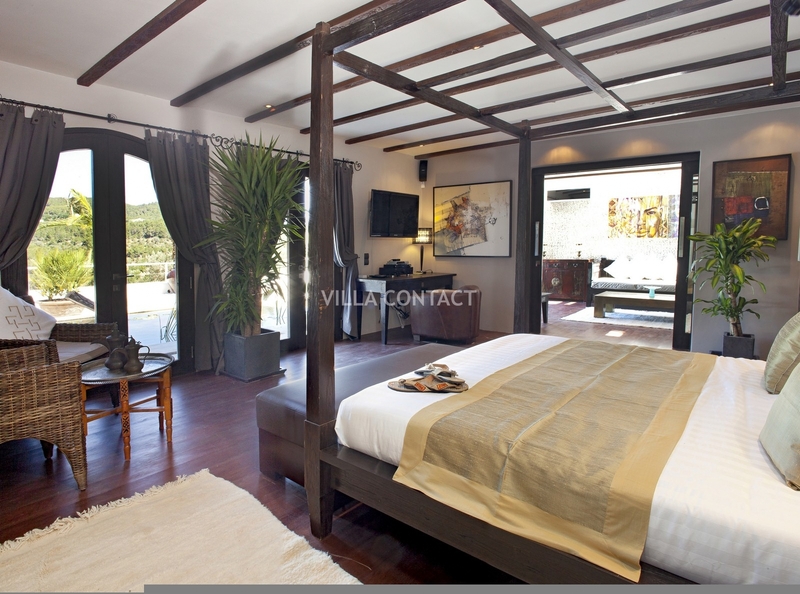 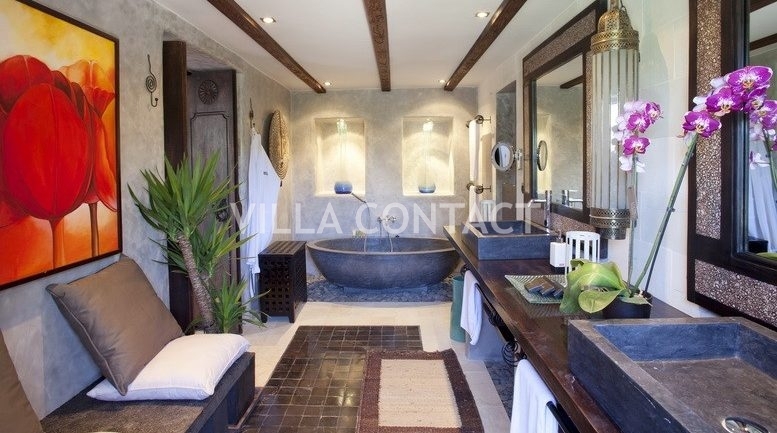 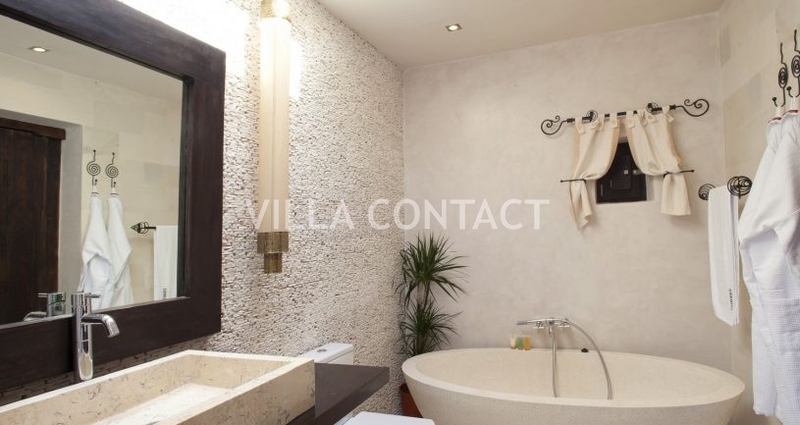 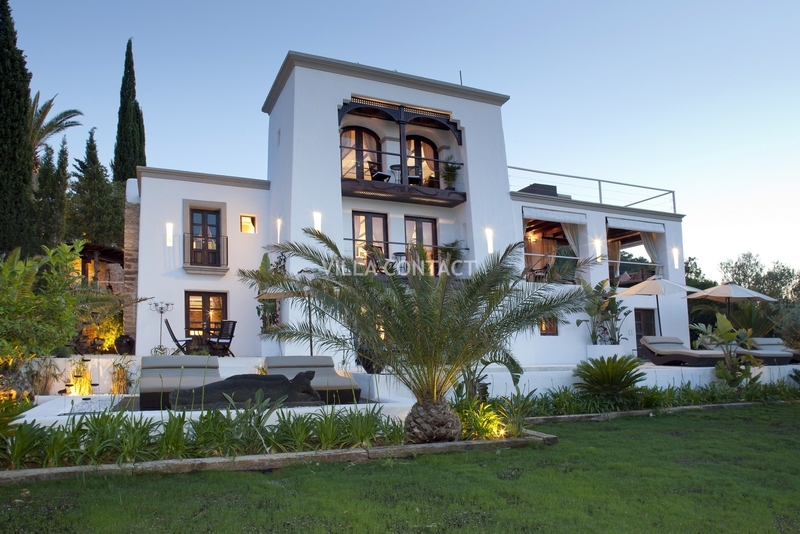 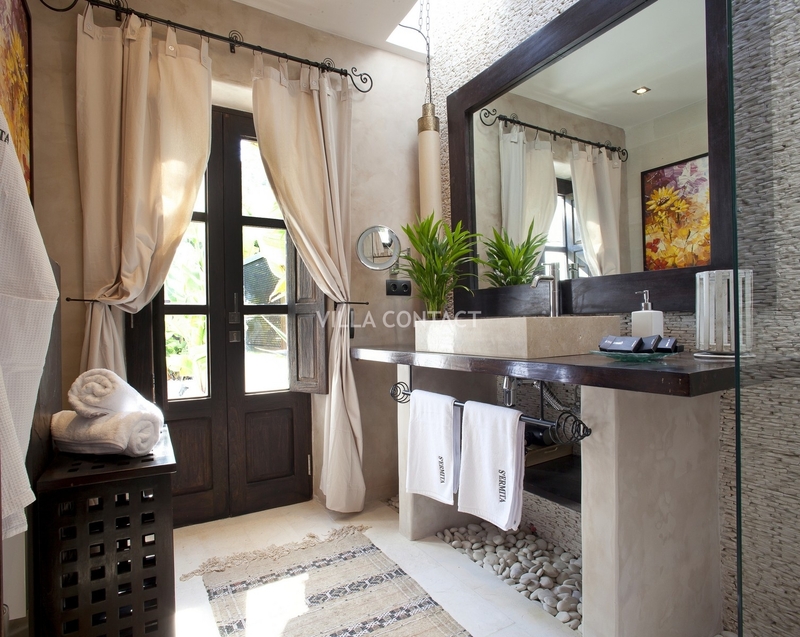 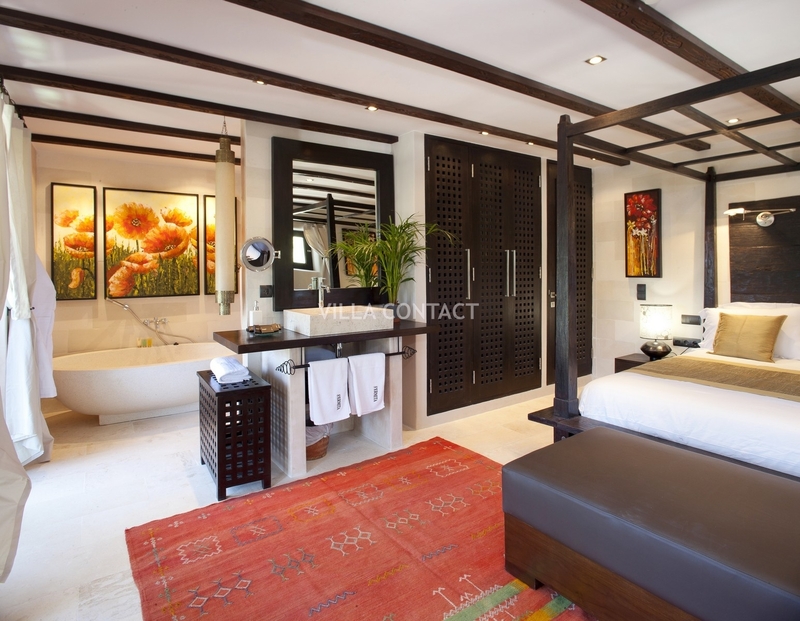 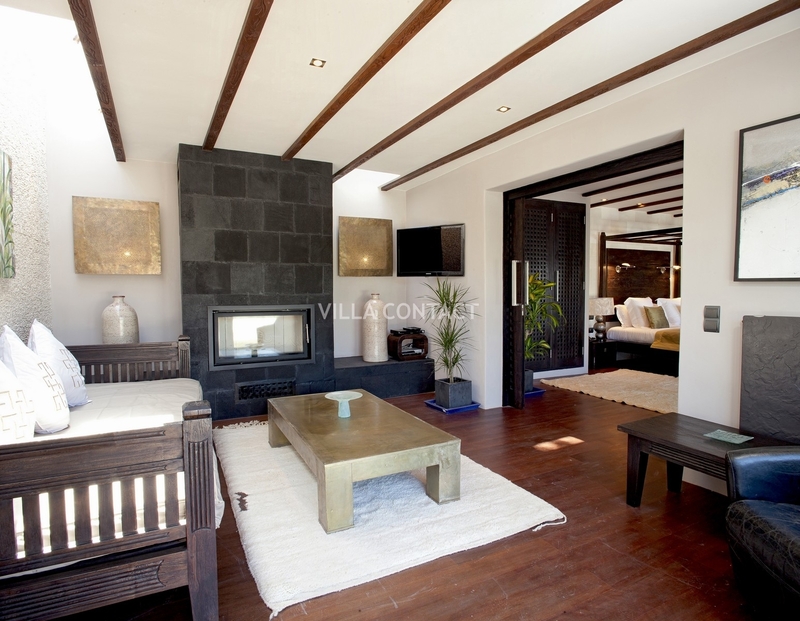 Pristine west-oriented luxury villa set up in the hills near San Miguel. 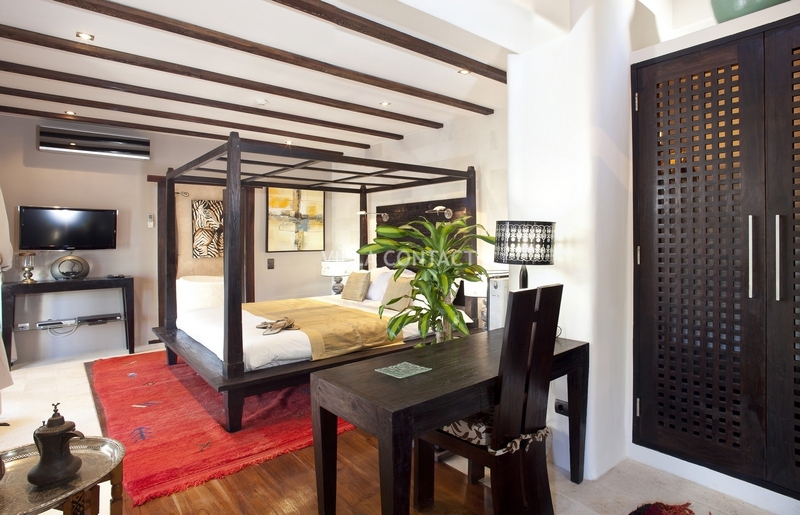 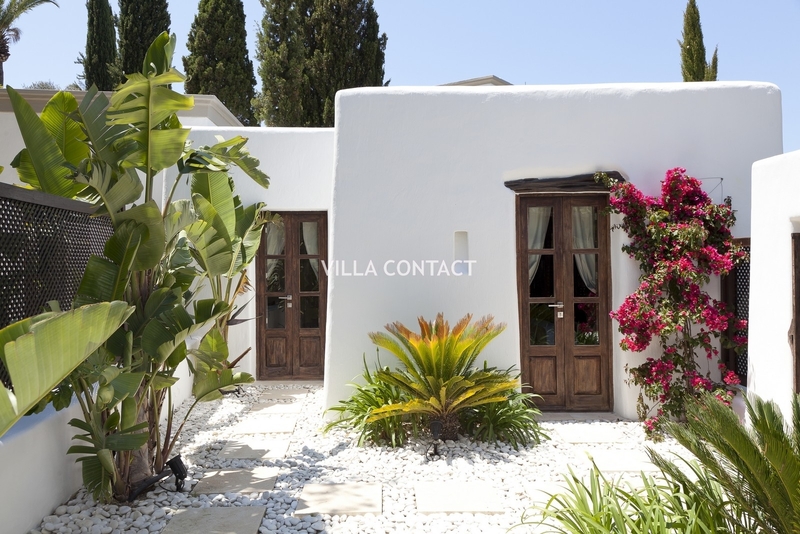 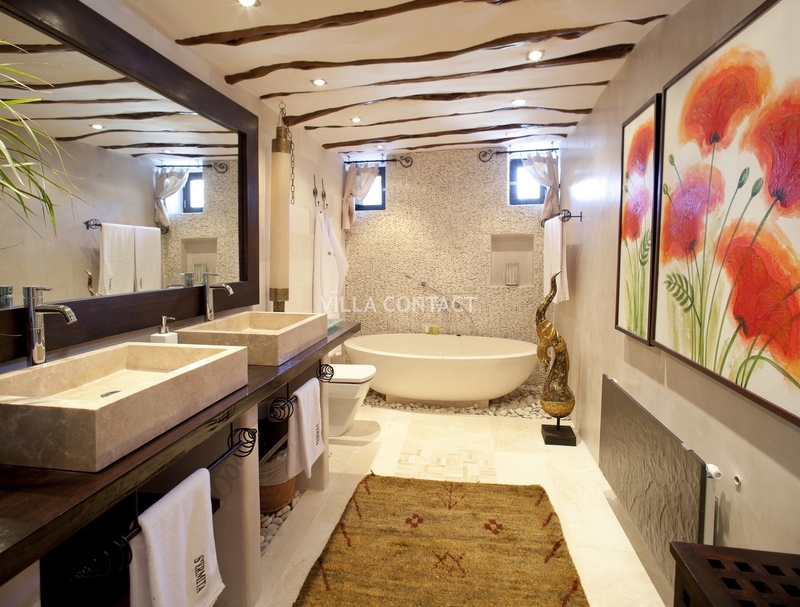 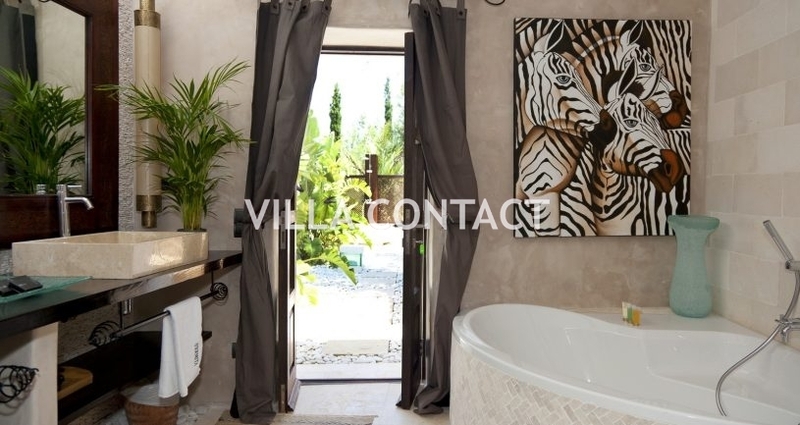 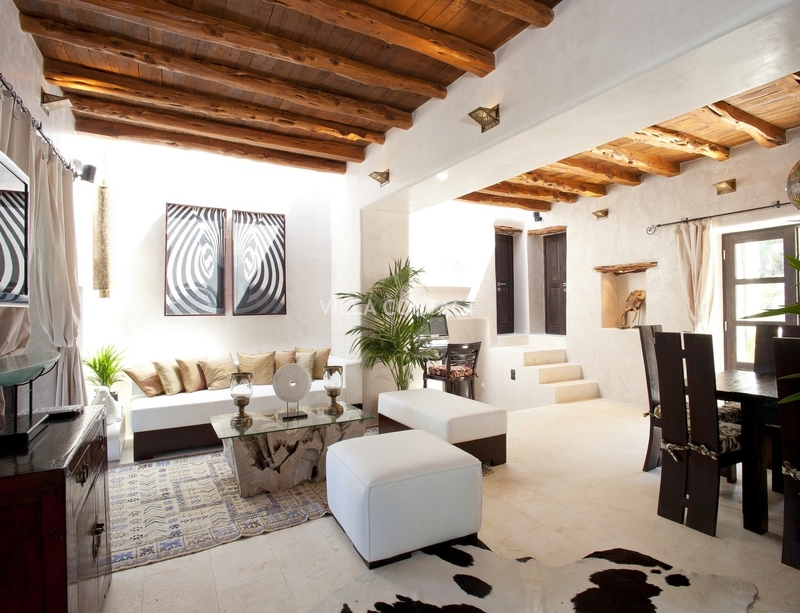 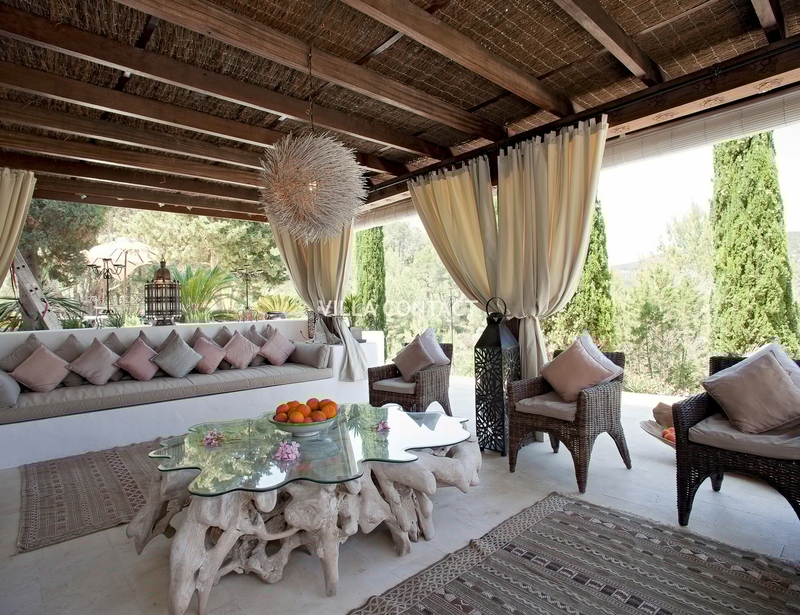 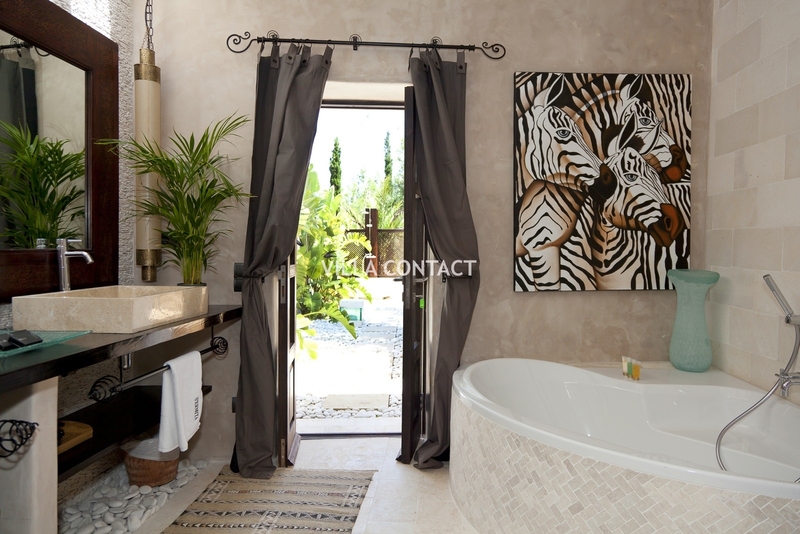 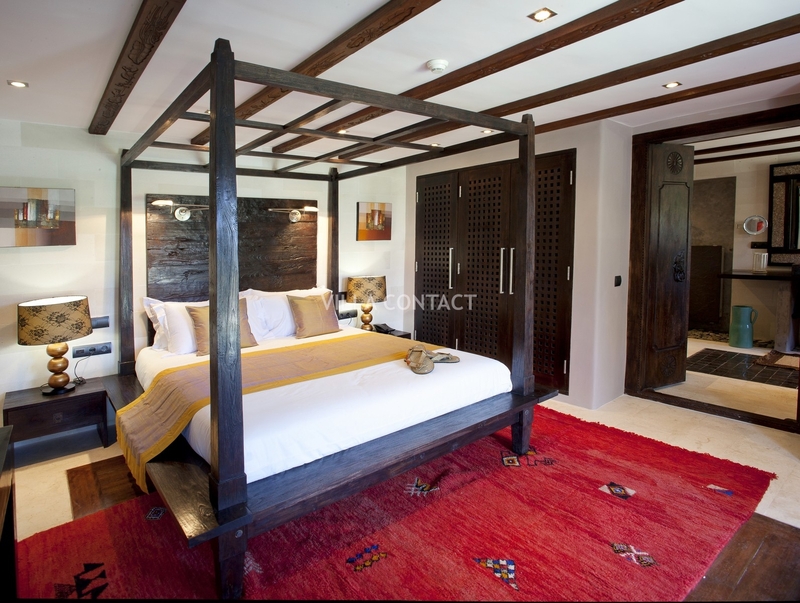 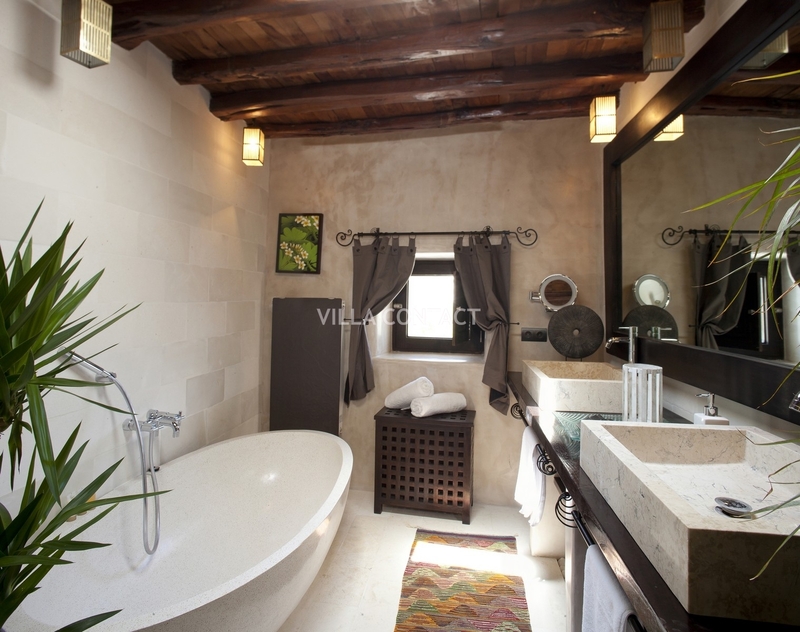 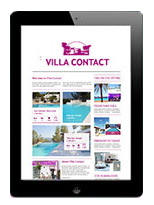 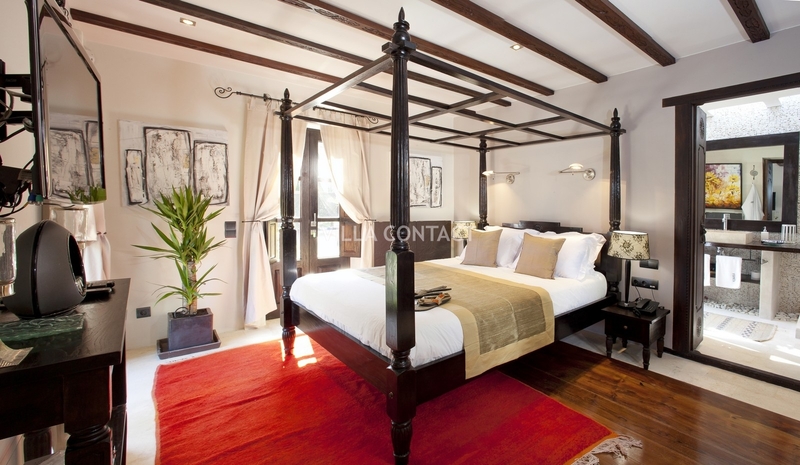 The property has been lovingly renovated and extended with exquisite taste, high quality materials and stylish rustic and modern furnishings throughout, mixing Bali influences with rustic Ibiza charm. 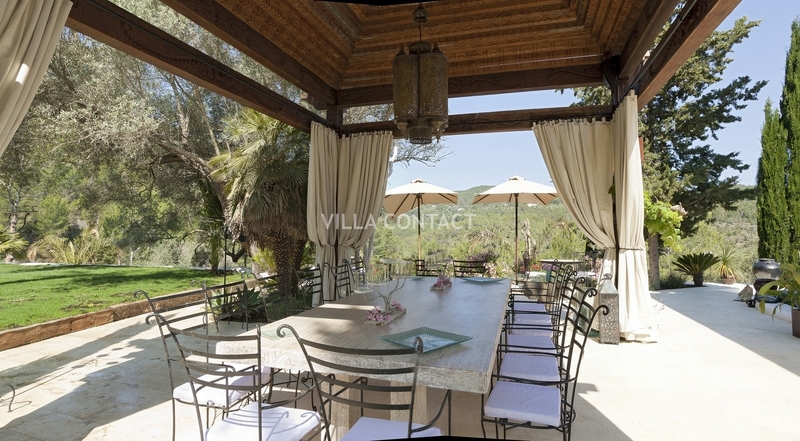 This luxury turn-key property comprises of the main villa and four guest houses surrounded by beautiful terraces with lush lawns and various fruit trees with views overlooking the valley. 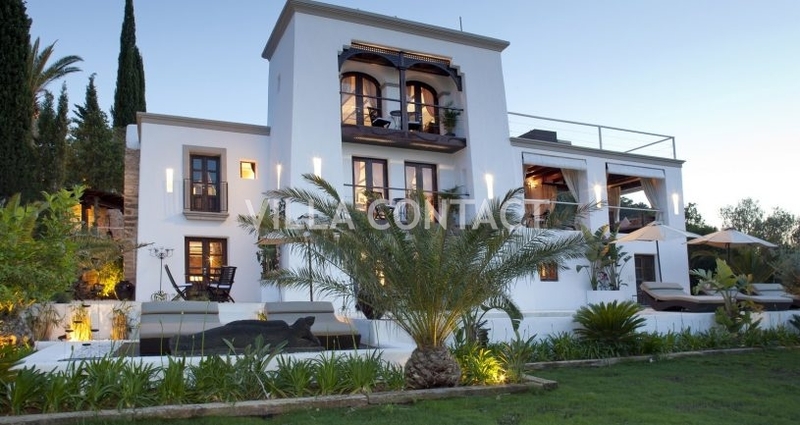 There are 2 solar heated pools both indoor and outdoor with a spa. 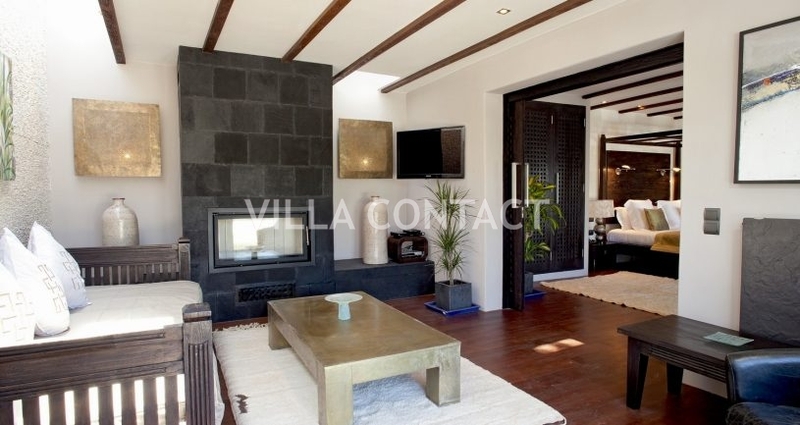 This large, luxury home is a great home for holiday or for year round living.